BEIJING, June 8. /TASS/. 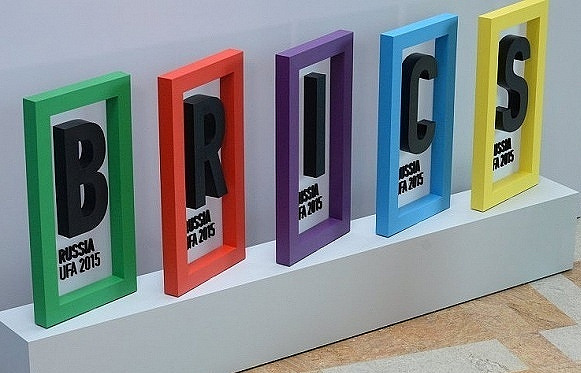 The first media forum of BRICS nations (Brazil, Russia, India, China and South Africa) opened in Beijing on Thursday. "The role and status of BRICS countries has been consistently strengthening and increasing. The contacts between media are an important basis for friendship, trust and mutual cultural exchange between the countries," Liu Qibao, who heads the Propaganda Department of the Central Committee of China’s Communist Party, told the ceremony. Liu said nowadays global economy is slowly restoring, noting that global trade and investments have declined. Besides, some countries are hit by fighting, conflicts, terrorism, and face uncontrolled flows of refugees and other serious problems. "BRICS countries are facing a challenging and serious external environment. These nations also have a lot of difficulties, but the international community has some misunderstanding about the prospects of their development," he said. Therefore, media should change these tendencies and form a positive image of BRICS, Liu said. "Media in BRICS should view assistance to humanitarian contacts as their important mission and actively promote cooperation and exchanges in culture, education, healthcare, sports and tourism," the Chinese politician said. The forum is attended by representatives of 27 news agencies, TV channels, newspapers and other media outlets of BRICS countries. Russian news agency TASS is represented by Director General Sergey Mikhailov.